I loved writing this post for the Fall so I wanted to recreate it for Christmas and winter. I love Fall and all the Fall holidays but nothing beats Christmas in my mind. 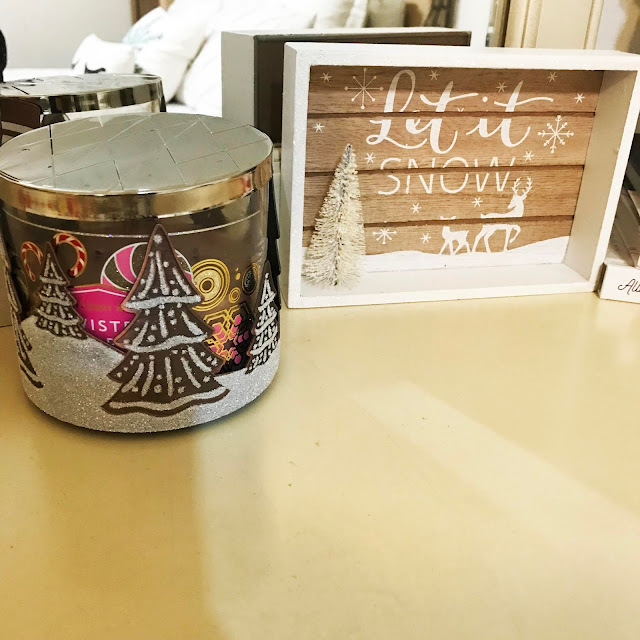 The entire season is filled with magic and pure joy -- I am at my happiest during the Christmas season and I make sure that joy is spread throughout my home. My mom does put me in charge of the extra pieces of decor to really bring the house together, and I always make sure my room is in the Christmas spirit. 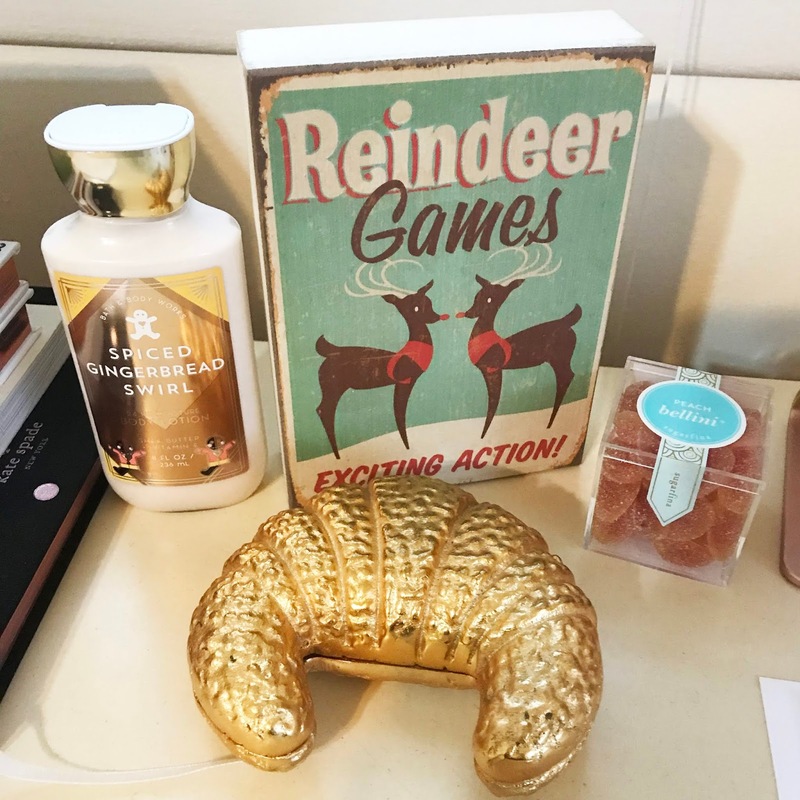 This is how I prep my bedroom and the house for Christmas (and winter too). *I start decorating for Christmas on Black Friday to give me ample time to enjoy the season. *If candles aren't your thing, you can definitely diffuse some Christmas scented oils in an oil diffuser! Nothing brightens up a room like a string of Christmas lights. If you are in a tiny space and don't have a lot of room for decor, a string or two of white (or multi-color) lights will change the entire look of a room. I always string up a pair of lights somewhere in my room, this year it's above my bed and it looks so cool and cozy. 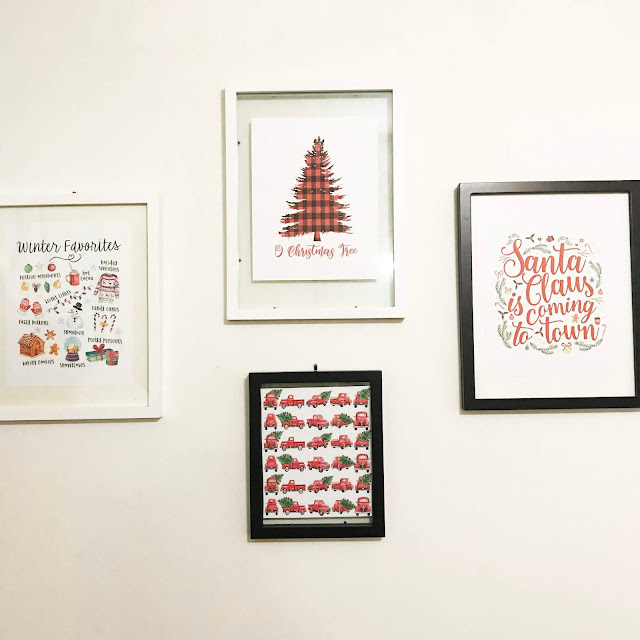 I discovered the world of Etsy digital prints when I started my gallery wall a few years ago. I only have four picture frames on the wall but I like to call it a gallery wall! Every season I change the photos on my wall to add extra flair and decor. Etsy is filled with tons of prints that you can buy for a few dollars and download and print yourself. It's so much easier and cheaper to do it this way and there is instant gratification which is always a plus in my book. Your decor pieces don't have to be large to make a statement. A stuffed animal here, a picture there, and hanging stockings make all the difference. I love going to the Target dollar section for this because the small wooden signs and little decor pieces are adorable, decent quality and so cheap! Another thing I love to do is take a Christmas bowl and put some candy canes in it -- it's colorful, simple, and a built-in treat! What are your favorite ways to decorate for Christmas/Winter?